The Agency Group and La Blogotheque have combined forces to bring some French bands over to SXSW, kicking it all off on March 14th. This is the third year that The French Bureau Export returns to Austin, Texas. Unfamiliar with these French bands? Download the free sampler. I had a great time with M for Montreal at NXSW, so if you're at SXSW, expect the same hospitality only the Canadians can bring. 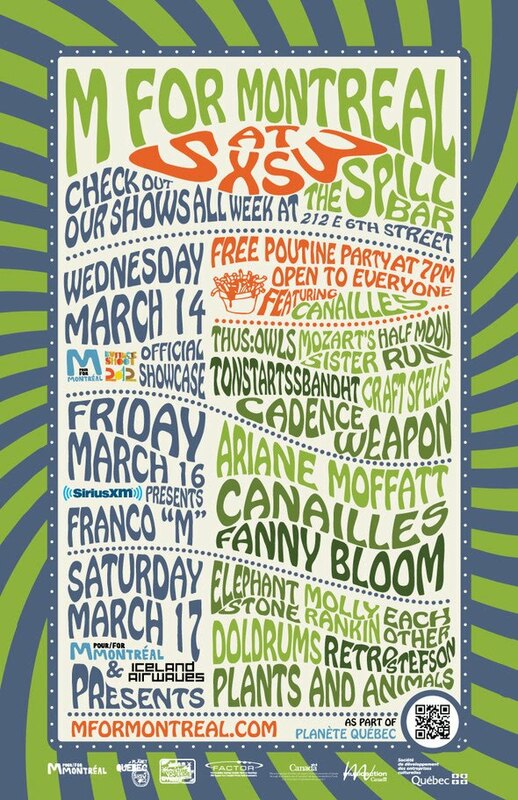 RSVP for the Free poutine and parties from March 14th to March 17th at the Spill Bar. Bands: Thus:Owls, Mozart’s Sister, Tonstartssbandht, Half Moon Run, Craft Spells, Cadence Weapon, Ariane Moffatt, Canailles, Fanny Bloom, Elephant Stone, Molly Rankin, Each Other, Doldrums, Retro Stefson, and Plants and Animals. That was Montreal, this is Manitoba! 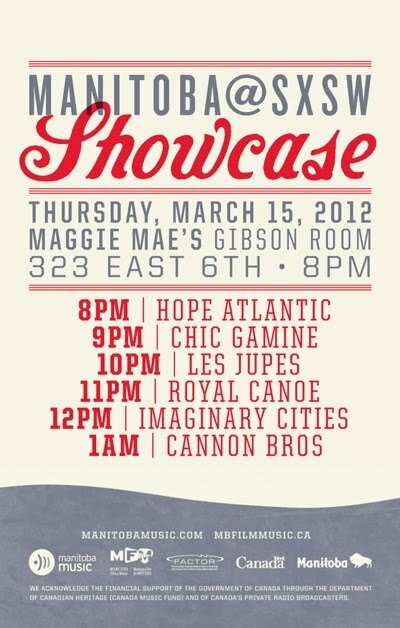 Taking place Thursday, March 15th at Maggie Mae's Gibson Room. Bands on the bill: Imaginary Cities, Les Jupes, Royal Canoe, Cannon Bros, Chic Gamine and Hope Atlantic. Listen to the playlist at Soundcloud. 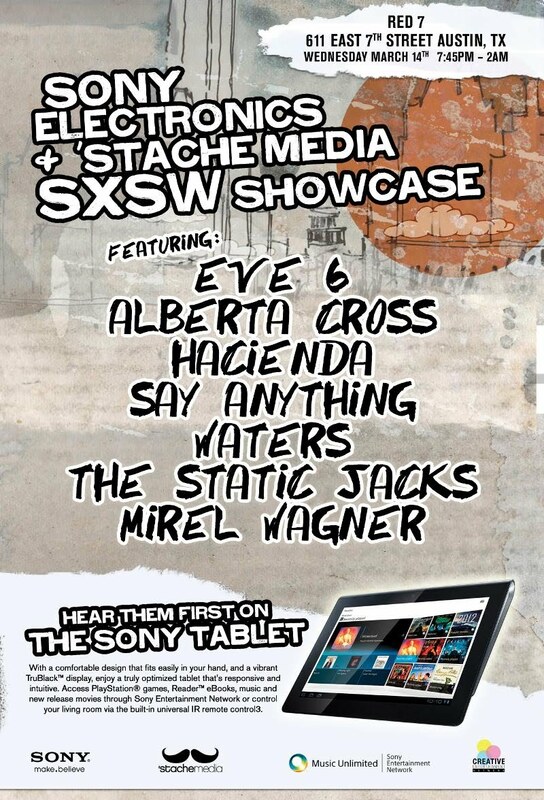 'stache media has teamed up with Sony Electronics to bring you the best of SXSW 2012: Eve 6, Alberta Cross, Hacienda, Say Anything, WATERS, The Static Jacks and Mirel Wagner. This is a free event, via RSVP and will be taking place at RED 7. See flyer for more details. Team Clermont with Fire Records, and Critical Heights, are over at Beale Street Tavern on March 15th. I am assuming, like most showcases, this is free, via RSVP on Facebook. 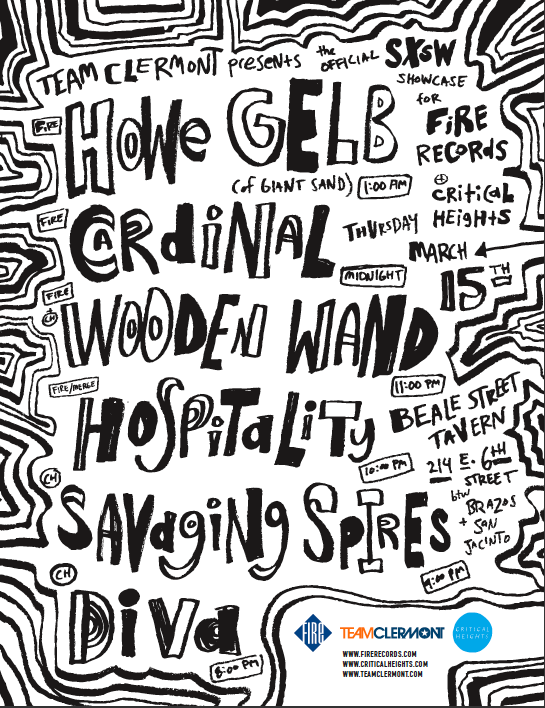 Bands: Howe Gelb (of Giant Sand), Cardinal (Richard Davies), Wooden Wand, Hospitality, Savaging Spires, and Diva. Green Label Sound (a record label curate by Mountain Dew) unveiled their 2012 SXSW plan, hoping to outdo last year's line-up of Chromeo, The Cool Kids, etc. 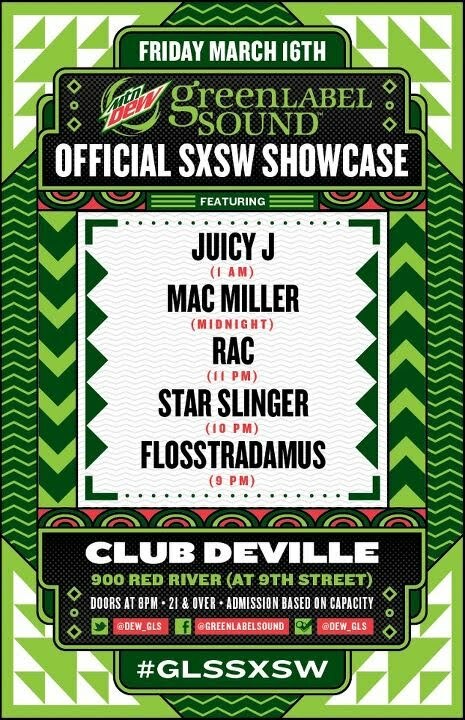 This year, at Club Deville on Friday, March 16th: Flosstradamus, Star Slinger, RAC, Mac Miller, and Juicy J.
sonaBLAST! Records and Crash Avenue presents their showcase on March 14th, from Noon to Six. Sponsored by: Woodford Reserve, Rooibee Red Tea, and The Magnolia Photo Booth Co.
Plus: FREE Shiner Boch and Woodford Reserve while it lasts! 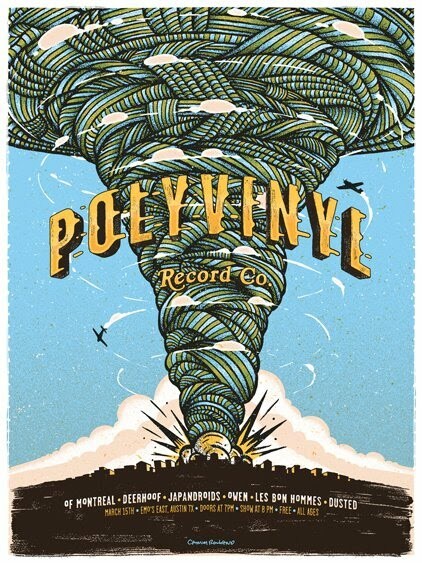 "It's Like a Day Party...But at Night" is Polyvinyl's motto for their SXSW showcase. It is all-ages and completely free at Emo's on March 15th, RVSP here. Bands on the list: of Montreal, Deerhoof, Japandroids, Owen, Les Bon Hommes, Dusted. More details about each band and their whereabouts on news.weheartmusic.com. Playing over at Stage on 6th Street on March 14th are Frenchkiss Records bands. 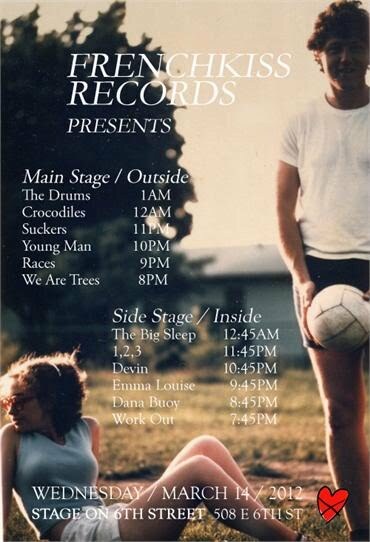 On two stages are: The Drums, Crocodiles, Suckers, Young Man, Races, We Are Trees, The Big Sleep, 1,2,3, Devin, Emma Louise, Dana Buoy and Work Out. If you're wondering, Crocodiles will be releasing a new LP on Frenchkiss Records. 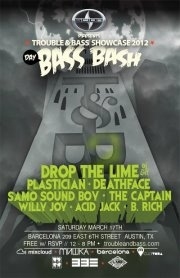 The 2nd Annual Day Bass Bash will be taking place at Barcelona Club on March 17th for SXSW. Party from noon to 8pm, and it's completely free with RSVP. Bands and DJs on the bill: Drop The Lime, Plastician, Deathface, Samo Sound Boy, The Captain, Willy Joy, Acid Jack, and B. Rich. 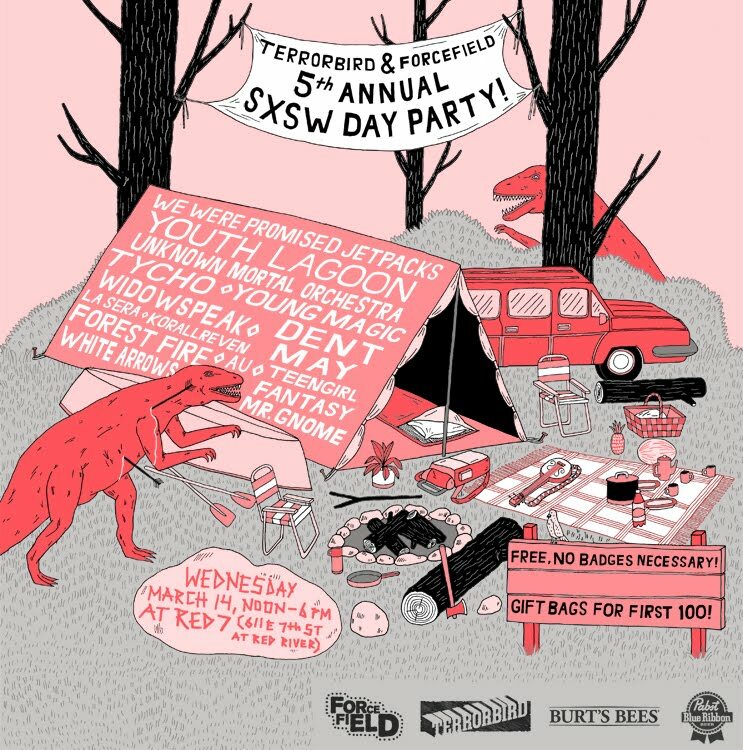 Black Iris & White Iris Present SXSW Party, taking place March 13th from 6-11pm. Completely free at Parkside, but you must be over 21 of age. 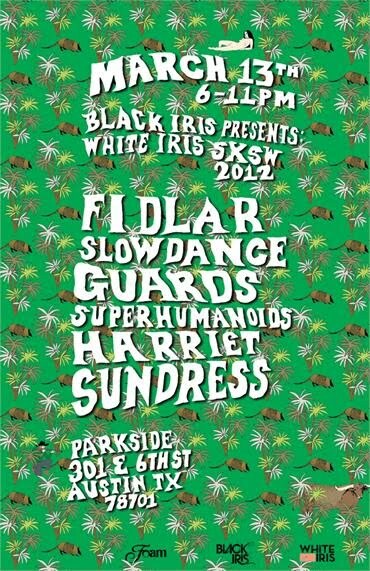 Band and set times: FIDLAR - 10:15pm, Slowdance - 9:30pm, Guards - 8:45pm, Superhumanoids - 8:00pm, Harriet - 7:15pm, and Sundress - 6:30pm. 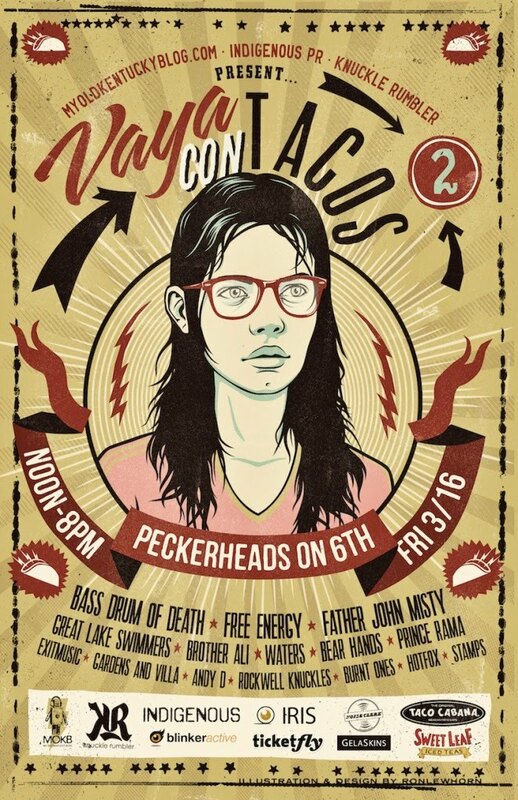 MOKB's show will be taking place at Peckerheads on March 16th (Friday). Bands: Bass Drum Of Death, Exitmusic, Father John Misty, WATERS, Bear Hands, Free Energy, Andy D, and Rockwell Knuckles. They are bringing back Vaya Con Tacos, so if you want to get your hands on "those tasty vittles", then show up early. RSVP here. If you're in early on Wednesday, March 14th, check the Hype Machine Hotel for "MOKB vs Song, by Toad" party. Bands: Blitzen Trapper, Brown Brogues, Big Deal, and The Twilight Sad. Wednesday: Free beverages for early birds / gift bags for first 100! Line-up: Youth lagoon, We Were Promised Jetpacks, Tycho, Korallreven, Dent May, Unknown Mortal Orchestra, Widowspeak, Mr. Gnome, Teengirl Fantasy, La Sera, Young Magic, AU, Forest Fire, and White Arrows. Saturday: Beach Fossils, Emily Wells, Dark Dark Dark, and Horse Feathers.